Home » Category "tattoo artist in leeds"
We have been working on Andy’s full sleeve. A lot of patience is involved in a process of a full sleeve, specially working with layers. Working with Layers, sometimes in one session, you can’t see how everything is going to look. So faith in process is very important, however with Andy, that’s a natural process, as he’s s very patient guy, and sticks though the process. Thank you Andy, look forward to our next session. Really aiming to complete the whole list of Asian creature stories right from A-Z. I find it fascinating that within the edo period so much was drawn and written about legends, myths and creatures to such detail. 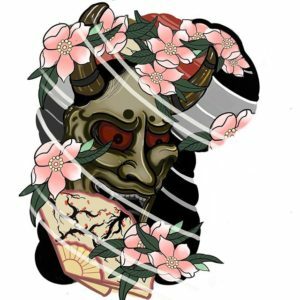 The Hannya (般若) mask is a mask used in Noh theater, representing a jealous female demon. It possesses two sharp bull-like horns, metallic eyes, and a leering mouth. In a digital age, where art have gone digital for many artists, I embrace the advantages digital art has to offer, specially with the busy life we have. Sometimes I still draw traditionally, that’s how i chose to aproch this custom design, I did it with a pen a paper like in the old good days. 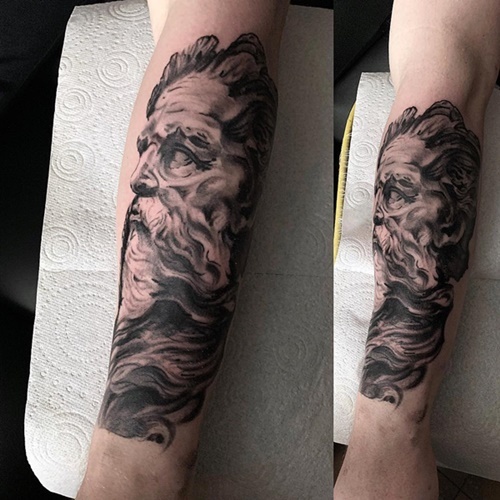 It took two sessions in total, awesome client too. Tomorrow I’m gonna start on my first day at our new tattoo studio in Leeds, keep an eye for updates on our new studio, thank you! 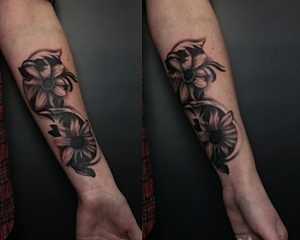 Black and grey sunflowers done over two sittings. Also covering up some writing luckily was fine lined. First sitting we got the basics down and free handing some background. I wanted the tattoo to have some natural flow which free hand allows. I used a black of black and grey wash and solids. On the last session we used a solid grey and white giving texture to the sunflowers. 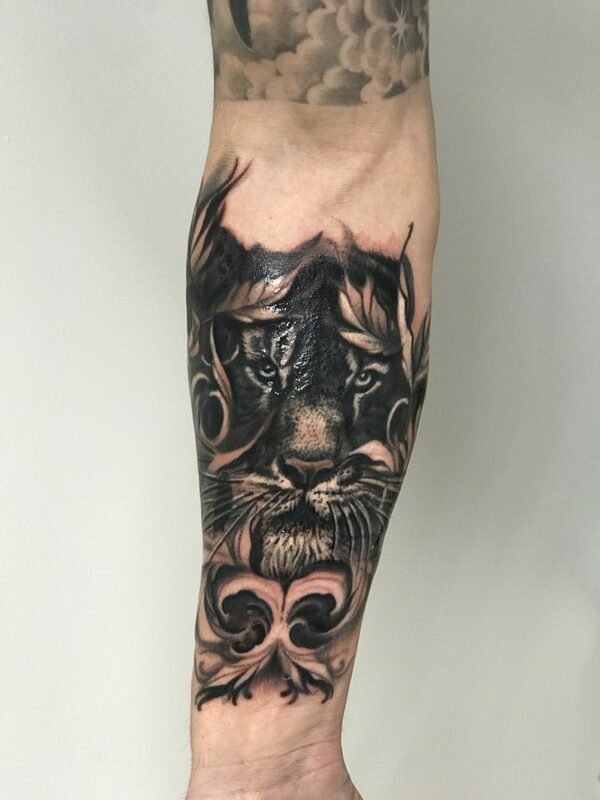 I was grateful for my client traveling to Leeds for this tattoo. 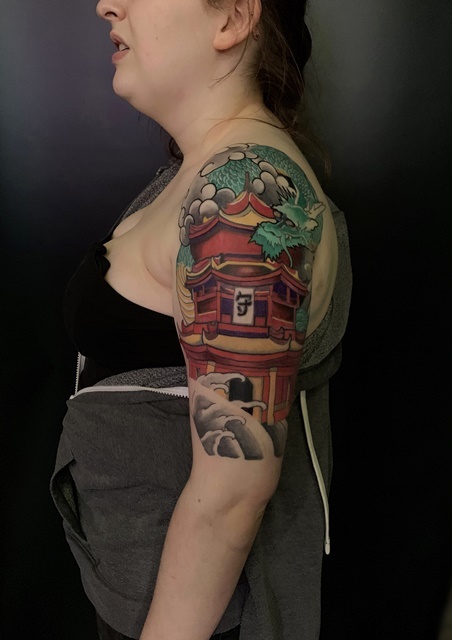 Was great to finally finish this Oriental Pagoda dragon tattoo for Rhiannon. I have been tattooing her for a few years now as one of my very first tattoos was done on her ribs. The pagoda is a tiered tower with multiple eaves. Built in traditions originating as stupa in historic Asia and further developed in East Asia. We also wanted to incorporate a dragon into the pagoda almost wrapping around the tower. 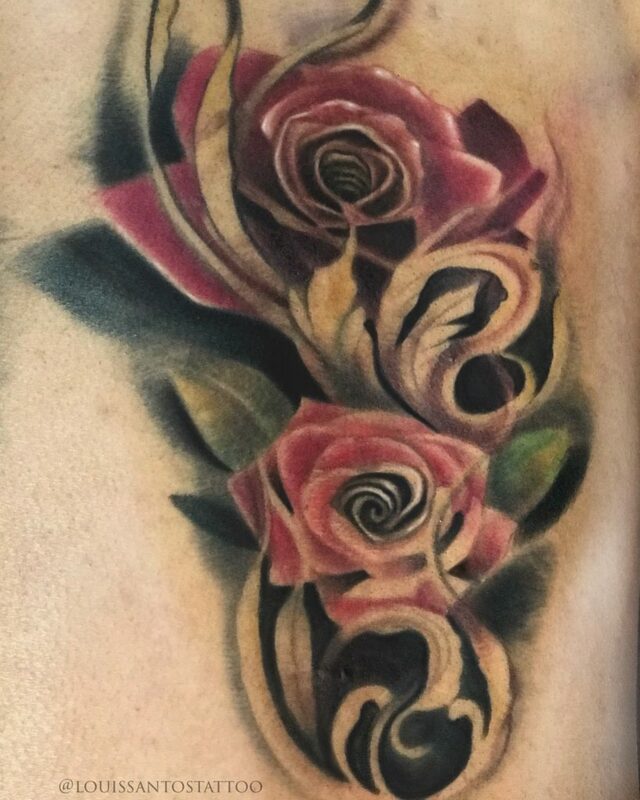 Rhiannon also has a great interest in Oriental styles and is always great to tattoo. I loved having the dragon wrapping around the top area.